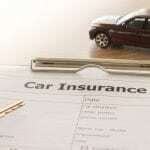 There is a big difference between cheap motorcycle insurance and affordable coverage. If you have a motorcycle, you know how challenging it can be to share the road with other drivers. Not only are you smaller and less visible on a motorcycle, but a phenomenon called saccadic masking can actually make other drivers blind to your presence. This makes it vitally important to employ defensive driving techniques when on the road and also protect yourself with proper motorcycle insurance. At Curtis Helms Insurance, we know there is a big difference between cheap motorcycle insurance and affordable coverage. We take the time to discuss the coverage options, so you will have affordable insurance without sacrificing key elements that will enable you to recover financially should you experience an accident, theft, or other damage to your motorcycle. Motorcycle insurance is much like car insurance in that you have many options, so you can choose what makes the most sense for your situation. It is important to note that cheap motorcycle insurance may not cover what you need it to, such as custom non-standard parts you’ve had installed to personalize your ride. We are proud to serve the Charlotte, North Carolina area as a one-stop insurance office for auto, motorcycle, life, home, and business insurance coverage. If you have any questions about the difference between cheap motorcycle insurance and getting the best policy for your situation, don’t hesitate to contact us. We’ll also be happy to look over your current coverage to assist you with understanding what you have and if any changes are needed to give you the protection you want.